When you are looking for Ford SUVs in the Carbondale, Illinois area, Vogler Ford is the premier dealership with the best lineup of quality SUV’s, the best Sales Team, the best Finance team and the best all-around discounts and offers available for your next Ford purchase. Check us out by stopping by our dealership or by checking out our website to see what we have to offer. 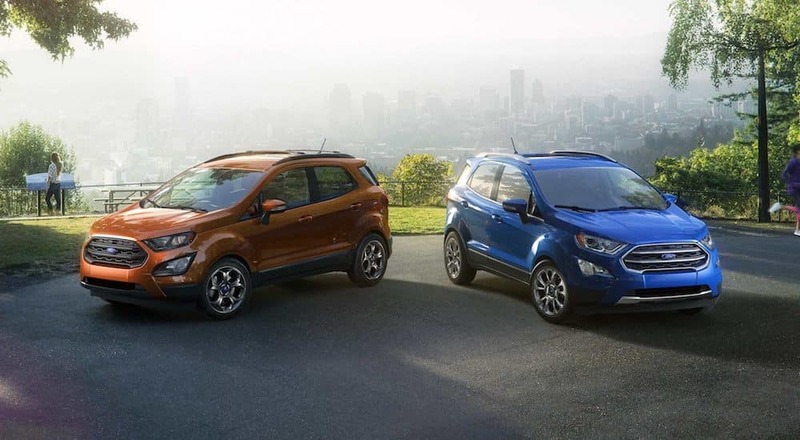 We are determined to make certain that your next Ford SUV purchase is one that you will be happy with for years to come and we excel in the art of making certain that you are completely satisfied at every stage in your Ford purchasing experience. Ford has done a lot with respect to their design to make certain there is an SUV for everyone, every lifestyle and every expectation. Just as we realize that it is important that we have quality vehicles to suit every lifestyle and budget, we also realize the importance of having a quality Sales Team on hand to be able to make certain that our customers receive the best possible information and support in the purchase of their next Ford SUV. Our Sales Team receives rigorous training and continually receives detailed information with regards to every vehicle on our lot. 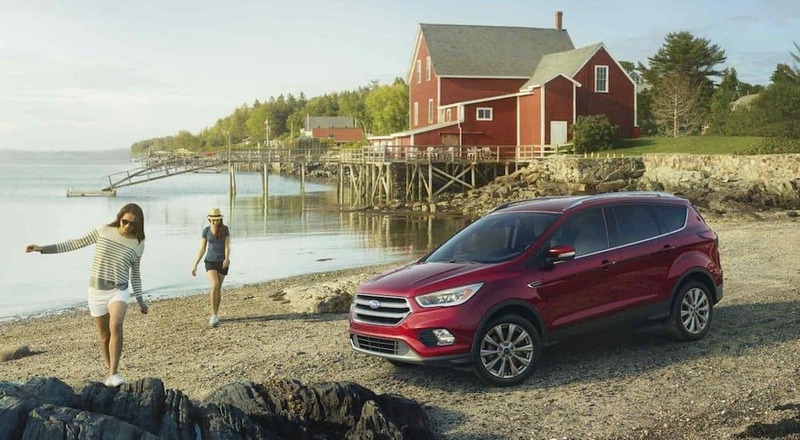 We understand that it is important that you receive the best up to date information, so that you can make the best decision when you go to purchase your next Ford SUV. We want to make certain that you are satisfied with the purchase of your vehicle “from our lot to your driveway.” We are pleased to mention that we continually receive accolades from our satisfied customers. This is a testament to the fact that our Sales Team is one of quality that we can be proud of at all times. “Dylan has been an amazing salesperson. He has been very nice and honest and easy going. I loved doing business with him and would definitely recommend him.” – Samantha M.
We are pleased to be able to offer Vogler customers the finest discounts and incentive plans to help them save money on their next Ford SUV. 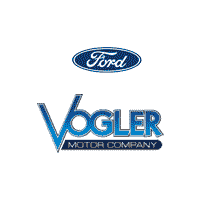 Our vehicles automatically receive a Vogler Discount off of the retail price and Ford has many offers for customers. These added with the Ford Credit Bonus and Customer Cash enables each customer to brag about hefty savings. Below is an example of how we break down our prices to give you the best deals possible. We understand that each customer that walks into our showroom, or on our lot has different needs in every aspect of their car buying experience. These facts are inclusive of the financing that is needed. A member from our Finance Team will sit down with each customer to make a thorough assessment of their budget so that the best options for financing can be discussed. Once these options for financing are discussed, the customer decides the final direction to take with regards to the financing of their next vehicle. It is understood that when making a long term commitment when financing a vehicle you want it to be one that you will be comfortable with for years to come. We are very proud to be able to boast that we have such strong Sales, Finance and Customer Service members that are knowledgeable in their areas and are able to expertly accommodate our customers. Whenever customers visit Vogler they are satisfied at every step of the way. This is inclusive of our Customer Service Team and they are known as the best in the business. The many accolades that we receive with regards to our Customer Service members prove that the efforts to continually make certain that our customers receive the best is achieved. “We just got a great new car. Bill Manis and Tim Hirsch were outstanding. They rolled out the red carpet and we were really impressed with their professionalism as well as their knowledge. Every person we had contact with, from the receptionist to the finance department, even the guys in the service department, were all very kind, helpful and friendly. So happy we chose to get our car at Vogler Ford. Was such a positive experience, we would definitely recommend them to others. Best in class service.” – Amy A-G.
At Vogler Ford, we want everyone that purchases a Ford SUV, car or truck from us to be satisfied long after they make it from our lot to their driveway. Painstaking effort and planning took place to make the overall experience with Vogler Ford would one that provides great satisfaction and that everyone is able to feel good about. The many accolades that all of our departments receive regularly are something we are immensely proud, and we want to make certain that all of our customers receive quality information, quality sales service and quality financing so that they can feel good about the purchase made through Vogler Ford.